* ("all values") - used to select all values within a field. For example, "*" in the minute field means "every minute". 0 10,44 14 ? 3 WED at 2:10pm and at 2:44pm every Wednesday in the month of March. 0 0 12 1/5 * ? at 12pm (noon) every 5 days every month, starting on the first day of the month. 0 11 11 11 11 ? every November 11th at 11:11am. Pay attention to the effects of '?' and '*' in the day-of-week and day-of-month fields! Support for specifying both a day-of-week and a day-of-month value is not complete (you must currently use the '?' character in one of these fields). Select 'Supplier Type' as the category, add the sort code, code, content etc. Click on 'Add Item' once done. Choose a supplier, change the 'Supplier Logic' according to what has been added in part 1. Put in the relevant information: discount %, branch, date range etc. Choose the supplier from part2(promotion apply to this supplier), Choose the item code from part3(promotion applied to this item). In the item detail page, you should be able to see the discount option in the drop down list. The Journal Transaction and Cashbook captured different dates. Thus, when the users check the GL balance and Cashbook on 31-08-2009, the balance will not tally because the GL has included the above transaction whereas the Cashbook has not. In order to prevent the scenario above from happening, users are advised to change the receipt date to the post date (eg. 02-09-2009) when settling customer payment with PDC. The customer's billing statement will follow the receipt date so it is important to make sure that the receipt date is correct. When user generate customer billing statement for August 2009, the amount of the cheque, dated 02-09-2009 will still appear in the outstanding amount as the payment is not considered settled until 02-09-2009. 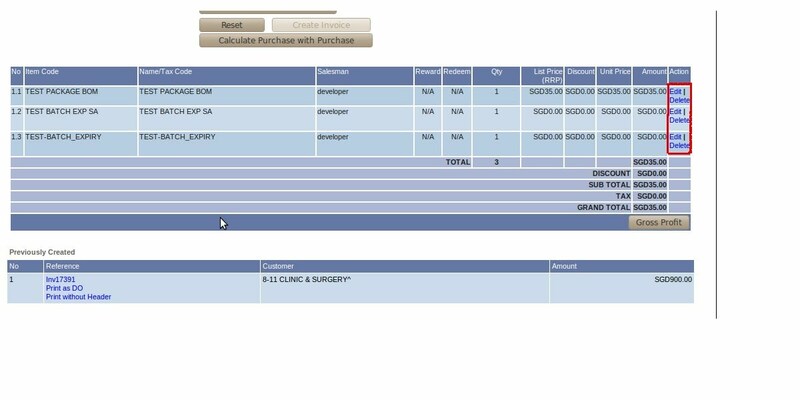 To generate the billing statement, refer to Customer Billing Statement. How to handle cancelled cheque created from opening? Cancelled by issuer - cheque issued with the wrong amount / receipient. The sale transaction has been cancelled. Cheque is bounced, this happens when the cheque amount is more than the bank balance. Cheque is not banked within a period of time after issued (eg. 6 months). There are 2 ways to solve a cheque cancellation that has been issued by the user usually to the supplier. 1. Do a Cash Adjustment to debit back the money into Cashbook. When a cheque is issued, the amount will be deducted from cashbook, so when the cheque is cancelled, users need to return back the amount to the cashbook. 2. 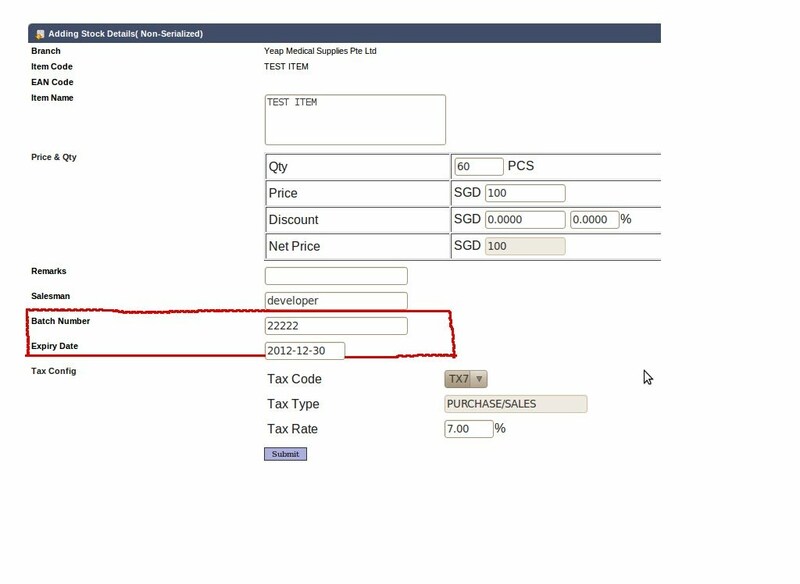 Create a Supplier CM (backdate to before opening date). This is because the journal transaction for the credit memo will be removed later. Only CM that is created before the opening can be deleted. 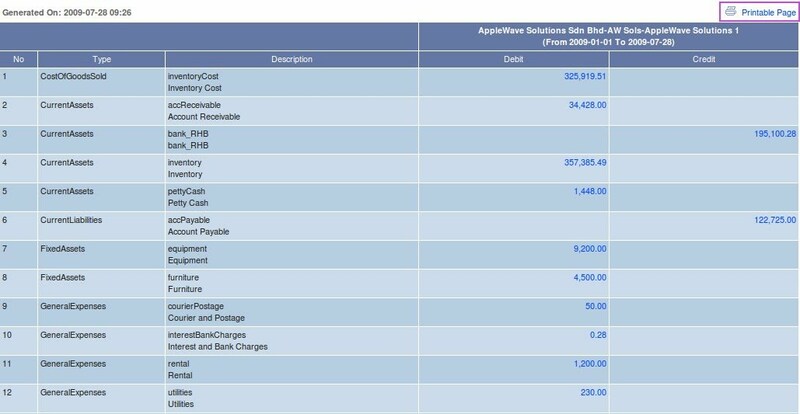 3. Credit memo is required even though the cash adjustment has been done because cash adjustment will only affect the finance cashbook, it will not affect the GL cashbook. 4. Delete the Journal Transaction for credit memo. Click here to learn how to delete the Journal Transaction. Only the Journal Transaction will be deleted, the credit memo will still remain in the credit memo listing. 5. Edit Set Opening Balance. Increase 'Cash & Bank' and 'Account Payable' by the cheque amount. 1. 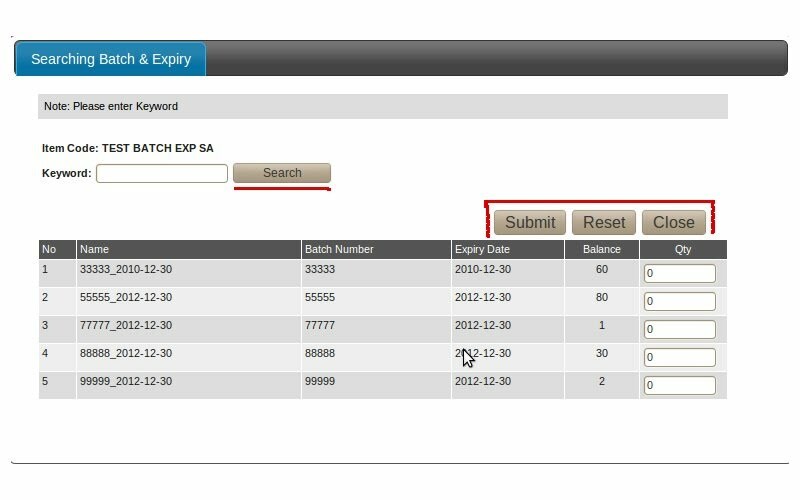 Create a Supplier CM (same date as the cancelled cheque) to eliminate the cheque entry. 2. Do a cash adjustment to insert back the amount of the cheque to the cashbook. The cheques that are created before the opening will be entered following the creation date which should be dated before 01-01-2009, for example 30-12-2008. While doing the bank reconciliation, all the uncleared cheques will be left un-filed. Please read Best Practices for Setting GL Opening. How to handle Bank Facility? Remember to click on 'Submit' after every editing. 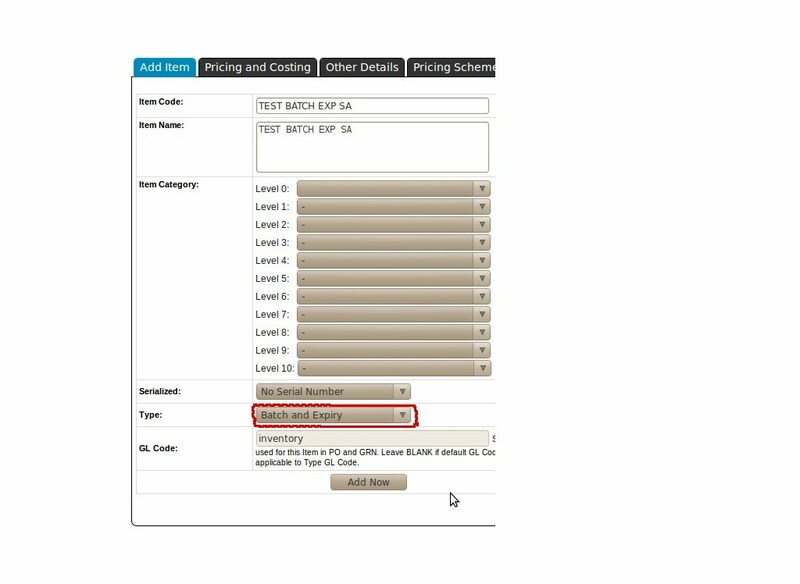 To configure the Credit Limit Dropdown List and Credit Limit Terms Dropdown List, tick on the checkbox to enable the drop down list. Enter the figure that you want to show on the drop down list and click 'Submit' to save the changes. 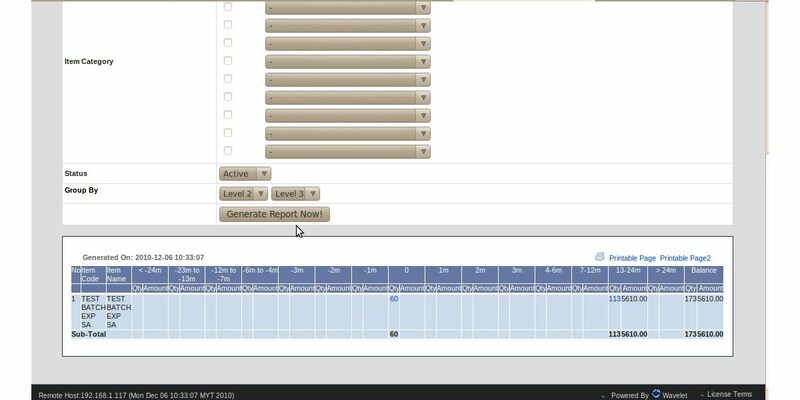 How to import EMP's report to Excel? Select a PC Center and enter a date. Click on 'Generate Report Now!'. 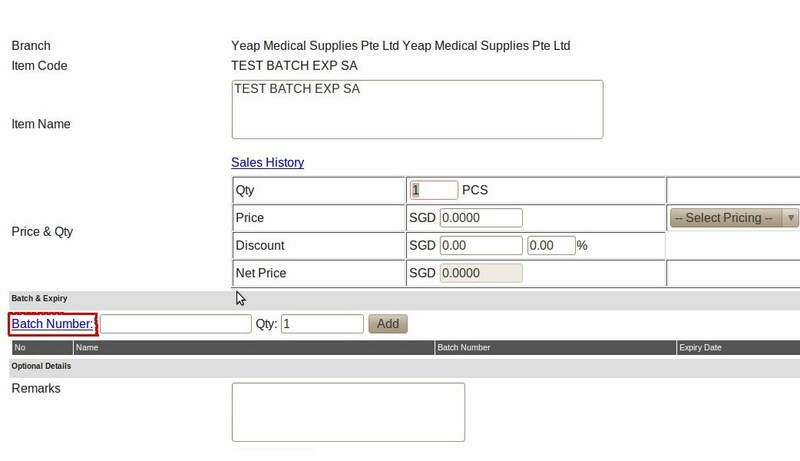 Click on 'Printable Page' at the top right corner of the trial balance statement. A new page will appear, go to File > Save page as > Select web page, HTML only. Now users are able to open the .html file with Microsoft Excel or Open Office. **The same procedure can be used to import Profit and Loss Statement, Balance Sheet and GL Listing.